Zoo vector illustration of many wild animals. African fauna Illustrator graphics. Silhouette vectors of the wild animals and beautiful calm landscape with a lake, setting sun and grass. 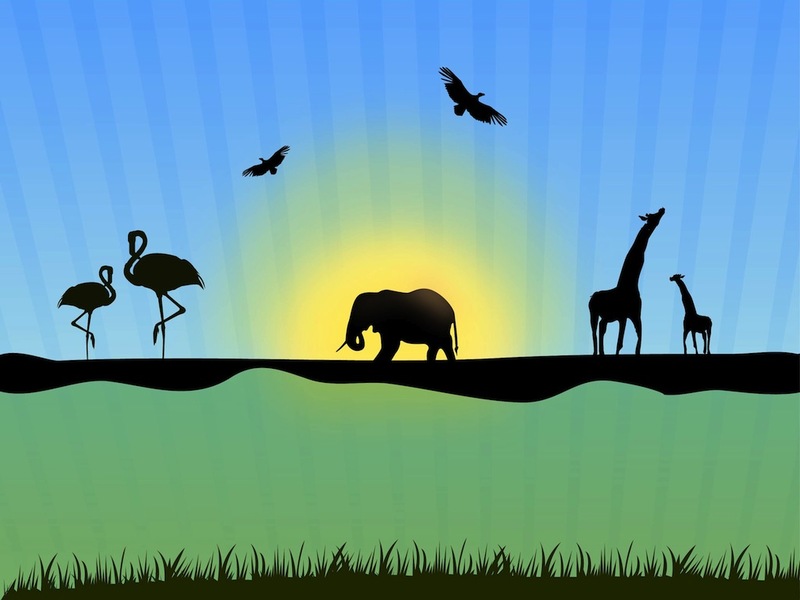 Silhouette of an elephant, various birds and giraffes. Free vector illustration to use in wallpapers, backgrounds and posters projects. Tags: Africa, Animals, Flamingo, Landscape, Nature, Safari, Sunset, Zoo.